Horn was at Volkswagen for the past 26 years, and it’s unclear where he’ll end up next. His departure comes as a surprise, however, considering the widely held notion that he was generally far removed from the engineering decisions that led to Volkswagen’s cheats on diesel emissions, and his popularity with the company’s American dealership network. In September Volkswagen admitted that some 11 million vehicles worldwide, including more than half a million in the U.S., had diesel engines with a feature that allowed them to circumvent emissions controls, and were thus vastly more polluting than the company let on. The automaker faces severe fines, lawsuits and a Justice Department investigation. For the past few months Horn was very much he public face of the company as it faced the aftershocks of the diesel cheating scandal. His repeated apologies became common occurrences at auto shows, testimony on Congress and other public appearances. But as Dieselgate has dragged on for half a year—with no fix for hundreds of thousands of U.S. owners in sight—it seems likely Horn’s fortunes changed. 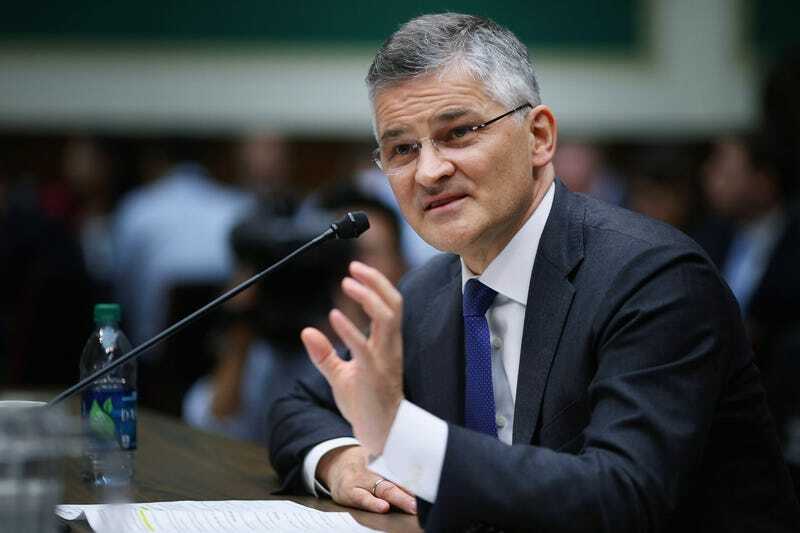 VW’s dealer council members praised Horn’s leadership while blasting the “continued mismanagement” of the diesel scandal, saying they were “deeply concerned” about the leadership change. The loss of Michael Horn as the CEO of Volkswagen of America is a serious blow to the US Dealer Network, the employees of Volkswagen of America, the workers at the Volkswagen plant in Chattanooga, and the entire Volkswagen community. Michael identified early in his tenure that the US market has been underserved by the Volkswagen brand and that the dealer network was eager to finally compete against big brands like Toyota, Nissan and Honda. He was able to regain the trust and respect of the US Dealer Network which had been eroded for decades by failed promises of success from Volkswagen AG. The National Dealer Advisory Council wants to acknowledge Michael for his leadership and strength through the continued mismanagement of the diesel scandal that has plagued our sales and reputation more than any other global market. When news broke that it was in fact a defeat device that eluded the EPA, it was Michael Horn who stood up in public only days after and admitted wrongdoing when no one else knew what to say. It was Michael Horn who stood before our government and testified on behalf of Volkswagen, when no one from Volkswagen AG was even in attendance let alone in our country. It was Michael Horn who crafted, with much resistance from Volkswagen AG, and fought for the TDI Good Will program. Those actions are what defined him as a leader for Volkswagen, the VW Dealer Network, and the American public. He led by example, showing that true strength came from challenging the brand to be better, more transparent, and open with the American network for mutual success. We are deeply concerned by the actions of Volkswagen AG to be changing directions at this stage. There is no sense of a resolution to the diesel scandal that Volkswagen of America was negotiating. Without an end in sight, we cannot see how this can be anything but counterproductive to the relationship between Volkswagen AG, the dealer network and the American authorities. We are troubled watching the mismanagement of this scandal from Germany, and how it may impact the ultimate decisions by the authorities in the United States. This change in management can only serve to put the company at more risk, not less. We will miss Michael for his brutal honesty, his willingness to challenge us to be better, and his commitment to the success of Volkswagen and the US Dealer Network. He led by not hoping to advance through obedience, but instead by fighting for what he believed was the right thing to do. He will always be held in the highest regards by all who had the privilege to work with him.